Wearing Far Infrared Clothing is rapidly becoming accepted as the new "must have" in easy, affordable, and effective alternative therapy. Numerous studies on the health benefits of far infrared rays (FIR) has gained the attention of medical doctors, alternative therapy practitioners, natural healers and non-prescription pain relief enthusiasts. Far Infrared apparel is the "new black" for pain relieving, therapeutic garments that are low-cost yet functional and fashionable. Our Therapy Shirts and Pants help reduce muscle soreness, inflammation. If you suffer from joint pain caused by arthritis, you'll love our products. Just by wearing these soothing comfy therapy garments you can improve your health. We recommend you wear them at night and get a more restful sleep. FIR clothing stimulates (dilates) blood vessels and improves circulation. FIR increases circulation by dilating blood vessels and capillaries. This natural occurrence helps stimulate metabolism. Improved cellular metabolism triggers weight loss. And the list of health benefits goes on and on. We bring You the Best Brands of Far Infrared Clothing. 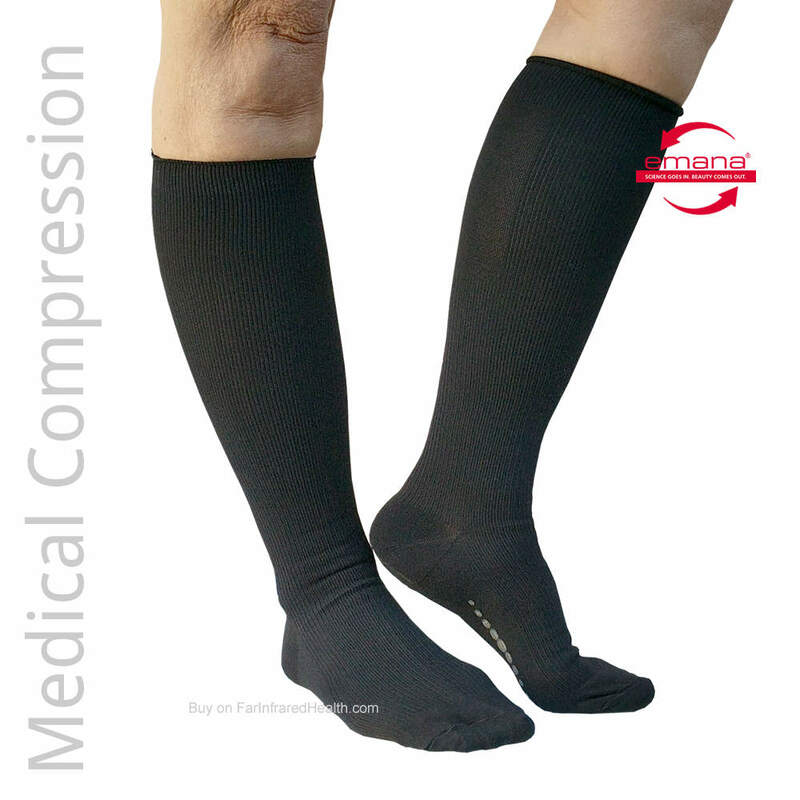 Offering a remarkable level of pain relieving comfort and style. You will want to wear them all the time! While working, resting or sleeping. FIR Clothing can become your "best friend" defense against sore achy muscles inflammation and joint pain. Perfect for all kinds of activities. Everything from meditation to yoga to running. You can feel the reassuring support and relief that leads to improved quality of life. FIR Clothing offers amazing therapeutic benefits. It helps to improve circulation, relieve pain and swelling and gives a boost to your immune system. The garments even make you look GOOD while feeling great! These bio-ceramic full stretch Hi-Rise Leggings are made of a unique bio-crystal "smart fiber" fabric. Wear these far infrared therapeutic leggings for promoting circulation, flushing toxins, reducing water retention, and smoothing the skin. FIR Leggings can also be beneficial in your weight loss regime and are very effective in treating Fibromyalgia. We recommend wearing far infrared clothing on a regular basis to help ease muscle pains & cramps, aid in rejuvenating the cells and tissues and compliment your weight loss program. Yes, that's right. FIR energy has been shown to help break up toxin filled fat cells and flush them out of the body. Since far infrared therapy help to reduce pain, inflammation and swelling, FIR apparel is also an excellent choice for soothing the pain of fibromyalgia. Many customers have asked if we have "Sleepwear" or a fir shirt to wear at night. Well good news! Yes we do. The far infrared therapy tops and bottoms are excellent for helping you get a restful relaxing sleep.